Don and Gladys followed my directions from Dual-Boot with Windows 7. 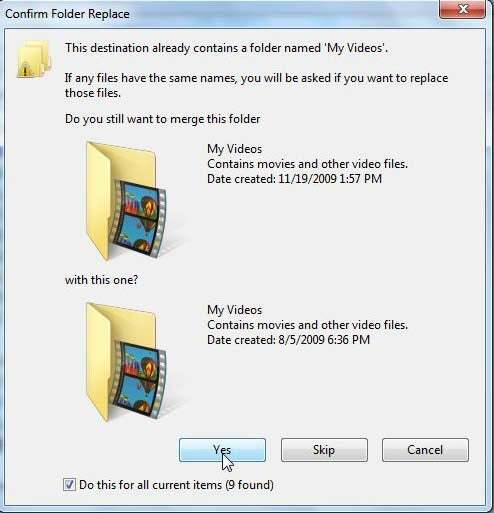 Now they want to remove the older version and just use Windows 7. Turning a dual-boot system into a single-boot one is a long and complicated process, so I'm describing it in two parts. The first part concentrates on moving your data from the old partition to the new one. Part II describes how to remove the old partition. I'm assuming here that you created the dual-boot system following my instructions. Or, if you didn't follow my directions, you did something similar. If you used a third-party multi-boot program, you'll have to look to that program's instructions for removing it. I recommended three partitioning programs in the earlier article. This time, I'm recommending only one: EASEUS Partition Master. You can use the free Home Edition if you have a 32-bit, x86 system. If you have a 64-bit PC, you'll need the $40 Professional version (on sale as I write this for $32). First, make an image backup of your hard drive, including both partitions. If you don't already have an image backup program, I recommend the free version of Macrium Reflect. You'll need an external hard drive large enough to hold the contents of both partitions. First, you don't want to copy the AppData folder that way. If you see a folder named either AppData or Application Data in the old partition's window, don't copy that. I discuss this folder below. Second: You might not have room on the new partition for everything on the old. If that's the case, hold down SHIFT as you drag as many folders as you can fit onto the new partition. This moves, rather than copies, them. Once C: is filled, use EASEUS to shrink the old partition and enlarge the new one. Repeat until everything is transferred. Whether you copy or move files, you're bound to get a Confirm Folder Replace dialog box. When you do, check Do this for all current items and click Yes. If another dialog box asks you about two files with the same name, check Do this for the next nn conflicts, and click the option to keep both files. Once you've copied (or moved) everything else, it's time to deal with that AppData folder. There's probably important data there, but simply copying its contents into Windows 7's AppData folder may cause problems. Create a folder in the new partition's window called old appdata. If you don't see a folder called AppData or Application Data in the old partition's window, select Organize, Folder and Search Options. Click the View tab. Select Do not show hidden files or folders, then click OK. Drag the old partition's AppData folder to the new partition's "old appdata" folder. If your old partition booted XP, it will have no AppData folder. Move the Application Data and Local Settings folders there, instead. I can't tell you how, or even if, the files on Old Appdata will prove useful. But if an application can't find its contact list, you'll be glad it's there. Repeat all of these instructions for every login name in your computer; each has its own folder in \Users or \Documents and Settings. 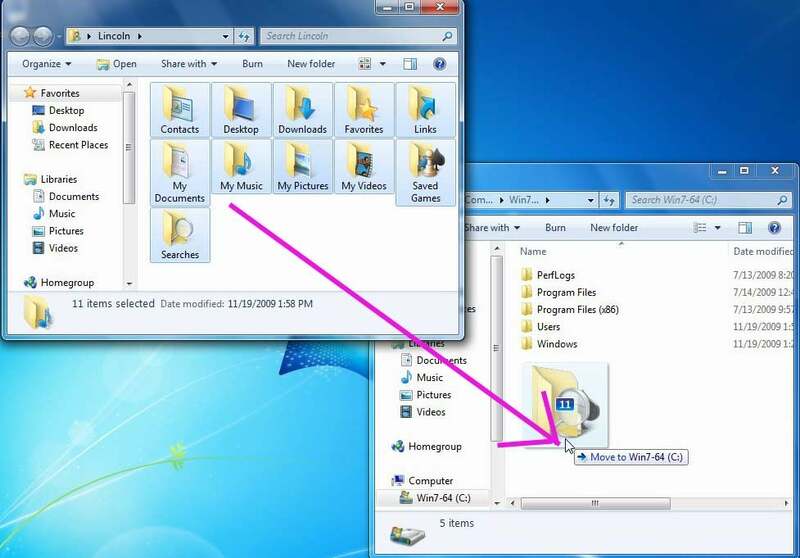 You should also do this for the Public folder, called All Users on your old partition if it ran XP. Okay, your data is moved (although, just to be safe, keep that image backup around for a few months, at least). You can now safely remove the old partition. Or you can remove it in a way that renders your PC unbootable. I'll explain the right way in Part II. Changed, January 7: I've added a paragraph early on to explicitly link this tip to an earlier one.